The record is made up of 4 folios. It was created in 15 Jul 1873. It was written in English. The original is part of the British Library: India Office The department of the British Government to which the Government of India reported between 1858 and 1947. The successor to the Court of Directors. Records and Private Papers. Letter informing Pelly that his recent address at Ajmer had been very good as had his response to the Taloohdass in regards to their revenue settlement, which he had resolved. The letter goes on to inform Pelly that the cost of residences for masters at Mayo College should be taken from the Government contribution; and asking for his conclusions in regard to the condition of the Public Works Department, the Bheel Corps and the suitability of Colonel Mackeson for his role. 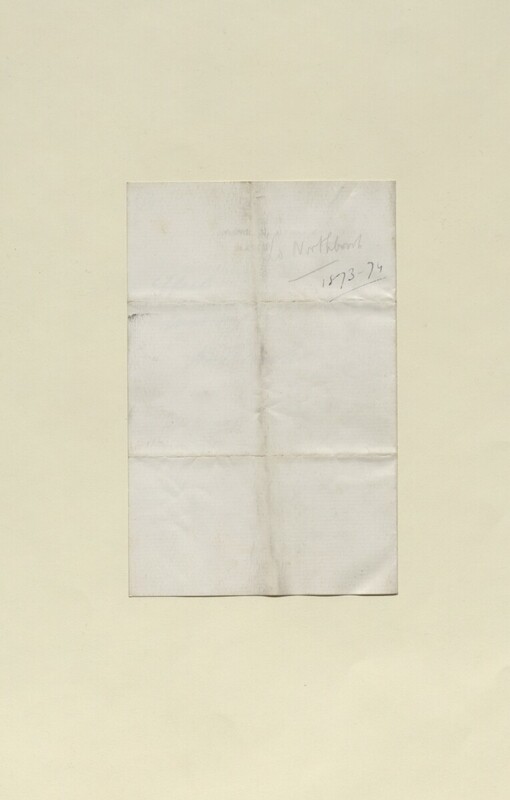 The letter concludes with Lord Northbrook observing that he is glad Pelly is viewing his new appointment as such an opportunity and that he hopes he would continue to take advantage of further opportunities that may present themselves.